Finally, AFCAT 1 2019 notification is published by the Indian air force and the AFCAT 1 2019 exam dates are finalised by the IAF. 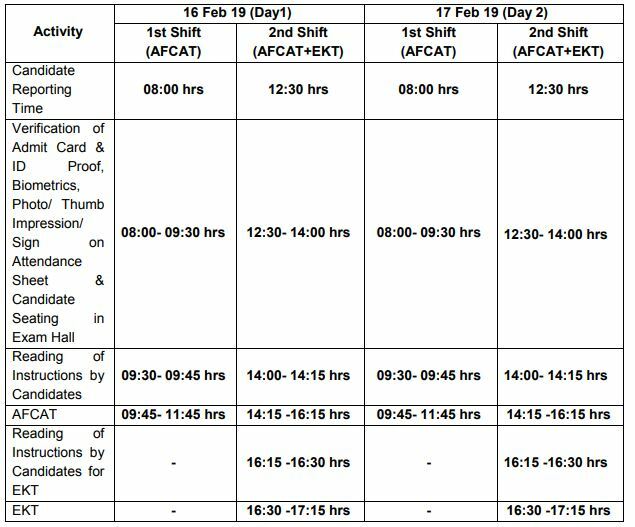 AFCAT 1 2019 online exam will be conducted on 16th Feb and 17th Feb 2019, each day there will be two different shifts, the 1st shift will be only for AFCAT candidates and the 2nd shift will be for AFCAT and EKT candidates. AFCAT 1 2019 online registrations are open at the moment and candidates can apply online through the official AFCAT website as mentioned below. AFCAT 1 2019 registration will be closed on 30 Dec 2018. Below you can find the details of AFCAT 1 2019 syllabus, marking scheme, subject/topics, exam pattern, and shift timings. 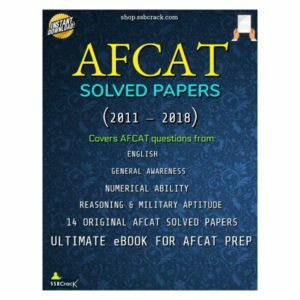 AFCAT Book -Get it now ! 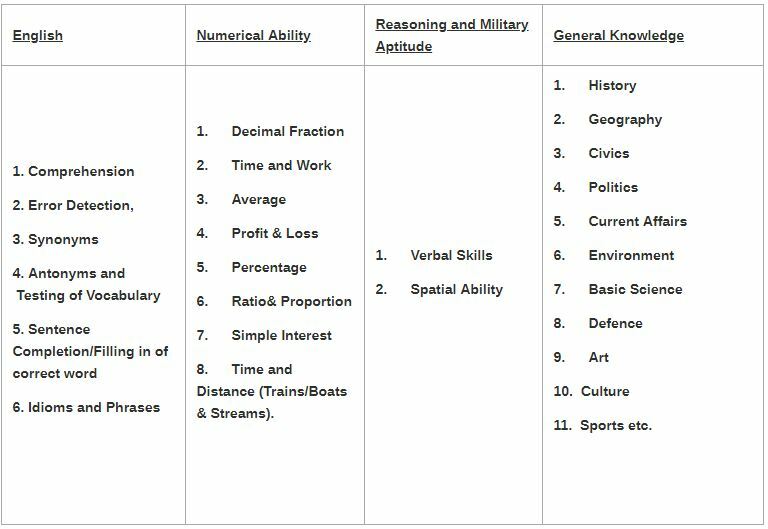 The standard of Numerical Ability Questions will be of Matriculation level. The standard of questions in other subjects will be of graduation level (Indian University). Questions will be based on the metric system of Weights & Measures wherever applicable. Candidates must appear for the Online AFCAT in person. Under no circumstance will any scribe or another candidate be allowed to appear/ assist in the exam. Air Force has the discretion to fix qualifying marks in any or all the subjects of the examination. Another valid photo identity card such as PAN card/ passport/ driving licence/ voter identity card/ college identity card or any other valid photo identity proof, with details of name, father’s name, date of birth and a clear photograph. Two passport size colour photographs- same as the photo uploaded during online application (to be pasted, not stapled on Admit Card next to the printed photo and on attendance sheet at the exam centre). Ballpoint Pen (Blue or Black) for signing on the attendance sheet and rough work. 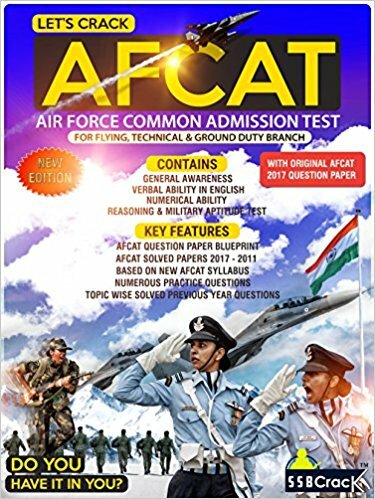 AFCAT Book -Get it now!